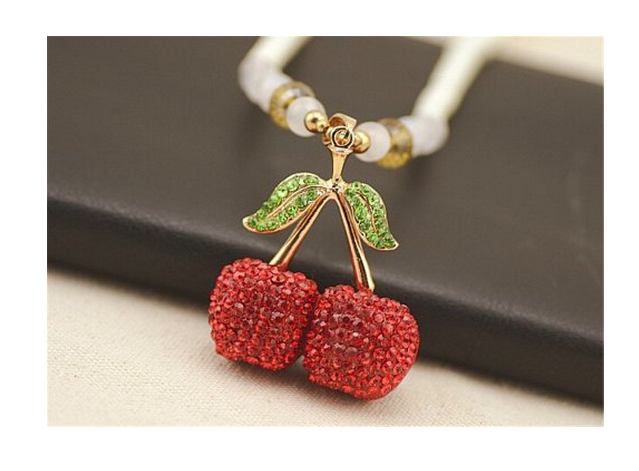 Elegant Red Cherry Pendant Necklace Only $2.99 With FREE Shipping! You are here: Home / Great Deals / Amazon Deals / Elegant Red Cherry Pendant Necklace Only $2.99 With FREE Shipping! How adorable is this necklace? Right now on Amazon you can get this Elegant Red Cherry Pendant Necklace for only $2.99 with FREE shipping! This necklace is sure to look fabulous with any favorite outfit.